The head of an international fashion label once said "as far as I'm concerned, leopard is a neutral”. That kernel of wisdom was offered by ex-J Crew president Jenna Lyons and no wiser words have ever been spoken of the pattern paying tribute to the wilderness. Being a fashion statement with a long history, it's a print that's never out of place or out of style. "We've been so excited to see it back in the forefront of fashion this season,” Order of Style founder Lana Coppel says. 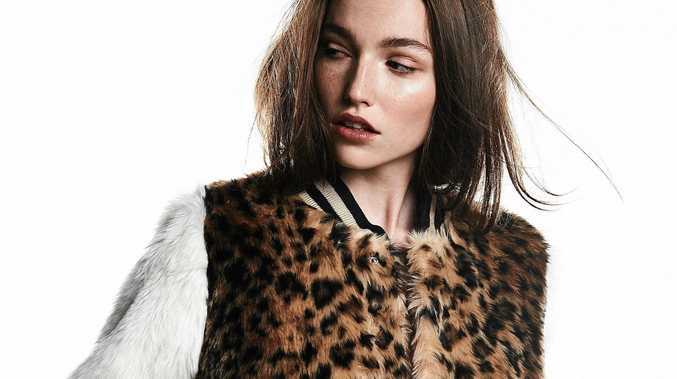 Coppel says leopard print's reappearance in the mainstream could be the result of 1990s fashion making a comeback. "There was definitely an undercurrent of animal print present in the '90s, particularly within the more grunge inspired set - think Courtney Love, Shirley Manson and Gwen Stefani,” Lana says. It usually appears in caramel, beige and brown and Coppel says its indistinct tones mean it can be easily dressed up or down. It's also a design available to many manufacturers, meaning you can pick up jewellery, bags or shoes as well as clothing in leopard. "I love a leopard print coat, it's an essential part of my wardrobe and adds instant glamour to any outfit,” she says. "It's like the wardrobe's answer to a bright red lipstick - it creates an instant boost and commands attention. "Plain black dress, add a leopard coat and suddenly you're Edie Sedgwick. "Paired with leather pants, now you're channelling Kate Moss. "If you're new to animal print, my advice would be to play with printed accessories - some shoes, a belt or a bag. "Keep it fresh for spring and summer by pairing it with your favourite denim and a splash of white.